The first kiwi appeared on a New Zealand stamp in 1900, and since then they have regularly graced letters posted in New Zealand. Here is a small selection. 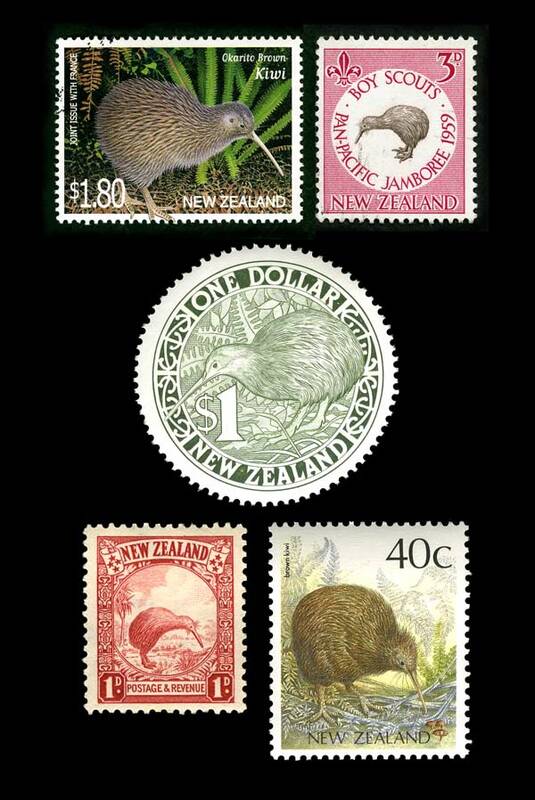 Clockwise from top left: an Ōkārito brown kiwi (rowi), which was a joint issue with France in 2000; a stamp issued to mark the Boy Scouts Pan-Pacific Jamboree in 1959; an unusual, round one-dollar stamp issued in 1988; another 1988 stamp showing a North Island brown kiwi; and the second kiwi stamp, which appeared in 1935.